Bentornati Konk Pack! Tim Hodgkinson, Roger Turner e Thomas Lehn sono al Centro Stabile di Cultura di S. Vito di Leguzzano (Vi) domani sera, alle ore 21.30. Il trio fece il suo debutto in Italia nel dicembre 1998 con alcuni concerti promossi dal Circ.a, dando per la prima volta seguito a un incontro avvenuto tra i tre a Budapest l'anno precedente. Konk Pack brings together three major figures in contemporary music. For over seventeen years this group has amazed audiences at festivals and concerts all over the world with the sheer energy of its rapid-fire interplay, earning numerous critical accolades. 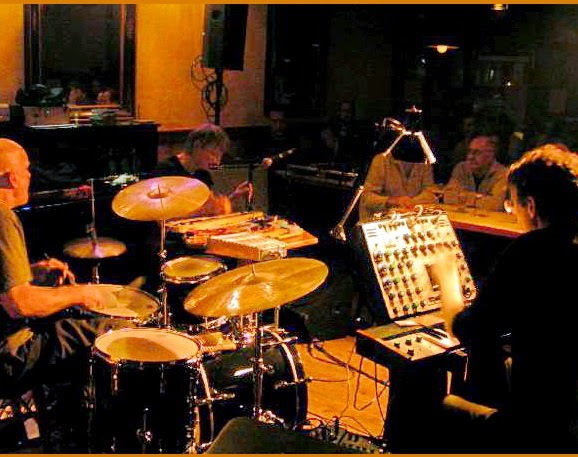 Since 1997, Konk Pack have toured regularly throughout Europe, completed major tours of the US, and have been described by The Wire magazine's Lee Henderson as "one of the most exciting improv groups in the world." The group have released five compact discs, and performed at major music festivals from Vancouver to Belgrade. The musics they've made individually are reason enough to take note of this trio, but the music they make together leaves audiences amazed and inspired. Konk Pack's high-energy flow of ideas generates extremely varied, evocative, distinctively coloured explorations.